You are pushing 45, and your daily reflections in the mirror do not interest you anymore. Sagging skin, wrinkles, crow’s feet and blemishes are the repercussions of ageing, and it is impossible to escape these changes. However, by following these tips you could certainly delay their appearance and also reduce them. Even if you have not started ageing, it is recommended that you treat your skin with tender love and a feather touch. While applying cream, lotions, face wash or anything else, always make sure that you give gentle strokes to your skin, else if the skin is tight it would begin to sag and already sagging skin would get even worse. So go easy! Okay, you already know the importance of face lifts and facials at regular intervals after the age of 30, however a face massage does not always mean a facial or a face lift. Neither does it involve so much time, energy or cost that you find it troublesome and unlike them, face massage could be done daily. Chinese women are known for their fresh complexion, natural and youthful beauty even as they climb down the age hill because they treat their face with regular oil massage. You could choose to do this before going to bed and pick natural essential oils. A tip- use almond or olive oil and add a few drops of any essential oil of your choice and massage with it (lemon, jasmine, rose, lavender, chamomile, neem). The skin under and around your eyes is extremely delicate and vulnerable to chemicals, acidic skin care products, dryness or a rough stroke. 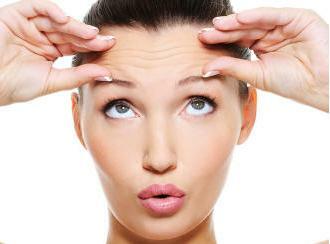 Therefore, the wrinkles start to show up in this area even sooner. Hence, make sure you have a special under eye cream which you apply every night before sleeping on a cleansed area. When cleaning your face with a cleanser or toner, move the cotton pads with a fragile touch over the skin on your eyelids and under the eyes. You could try dabbing some almond or olive oil to make it look tight and fresh. Scrubbing your skin every week or twice a week is essential for the dead skin cells to fall away. If you are one of the busiest bees who exist today, then select a face scrub from a trusted and quality brand. Else, you could take some oatmeal add a little yogurt to it. Apply on the skin and neck area and massage gently on the face in circular motion. When it dries, rub it off with gentle strokes. Wash off with cool water. However, keep it in mind that you should not exfoliate your skin more than twice a week as then it could lead to inflammation and skin darkening. Never step out in the sun without wearing a good sun protection. Choose sunscreen lotions which contain SPF 30 or more. Ultra Violet rays of the sun damage collagen, which is responsible for skin tightening. Always apply sunscreen lotion on your face, neck, hands and any other exposed area generously, before 20 minutes of stepping out. You could also use a moisturizer that comes with inbuilt SPF, however, if you are the one who spends a lot of time outside, then go for a sunscreen separately. Do not go for the ones who are alcohol based as when you sweat, they irritate the skin no end. One of the quickest ways to lose the youth quotient of the skin is to sleep with a dirty face or with make up on. At night, clogged pores of the skin lead to dull and lifeless skin in the morning, simply because of lack of oxygen during the night. When pores of the skin are not clean they cannot breathe at night which augments the ageing process of the skin. Load up on foods rich in proteins and omega 3 like oily fish, eggs, yogurt, spinach and others. Omega 3 are healthy fats which maintain the moisture level of the skin and proteins help in repairing the cells and forming new ones. Yes, take that literally! If you want a firm, soft and supple skin, glowing with natural radiance, makes sure that you are packing in your beauty sleep which means dozing off for at least 7-8 hours a day. Make sure you lessen the use of TV, laptops and mobile phones, 2 hours before you go to bed.